A terracotta rainscreen solution for applications where weight of the facade and project budget call for a thinner, more economical approach. Designed to be a versatile and economical solution for terracotta rainscreen, the TC18 system offers the elegance and beauty of terracotta in a Cladding Corp rainscreen package to fit any budget. Available in similar format sizes and 16 standard colors as its sister product, TC30, the TC18 tile is redefining the rules of terracotta cladding in North America without sacrificing the impact resistance of a double-skinned tile format. 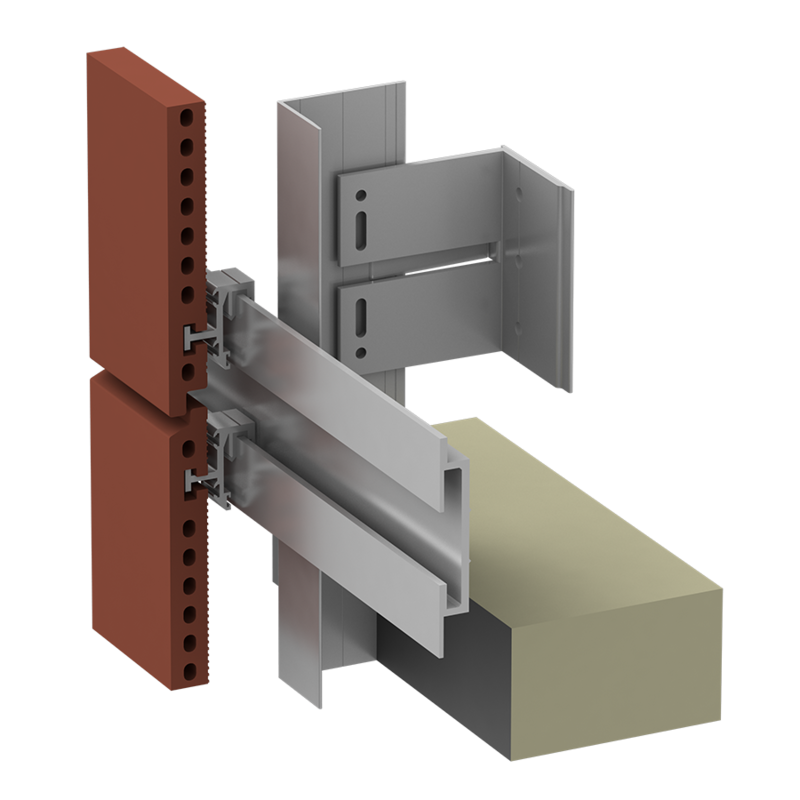 Paired with the Alpha Vci.45 horizontal rail system, TC18 is uniquely suited for projects where the depth of the ventilated cavity is an issue, offering unlimited design possibilities for both retrofit and new-build construction. TC18 is available in smooth, grooved and a variety of other shapes.